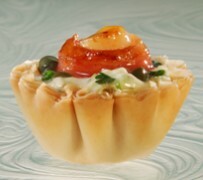 Looking for a fun recipe using mini pastry shells for your next party or event? 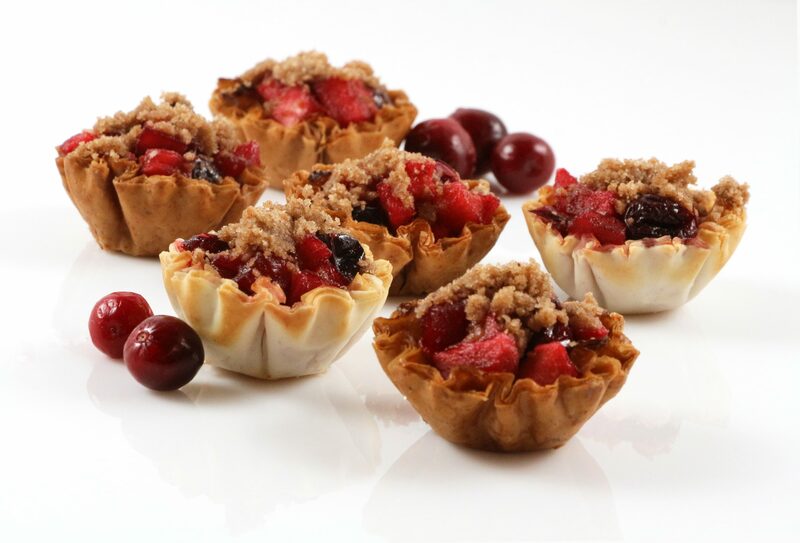 Try this Cran-Apple Crisps recipe. Preheat oven to 350⁰F. In a small saucepan, cook the cranberries in water over medium heat, stirring occasionally. When the berries begin to pop, add 1/4 cup sugar, apples, 1/4 teaspoon cinnamon and orange zest. Let simmer over low heat for about 8–10 minutes or until slightly thickened. In a small bowl, use a pastry cutter or fork to combine all topping ingredients until butter is thoroughly incorporated into the dry ingredients. Spoon 1 heaping teaspoon of apple mixture into each shell. Liberally sprinkle the topping on each. Bake for 8–10 minutes. Cran-Apple Crisps may be assembled and frozen prior to baking. Do not defrost before baking. 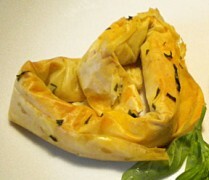 This recipe received honorable mention in Athens Holiday Mini Phyllo Shells Recipe Contest.